The story of the ETF industry can be summarized in one word: growth. After growing from US$417 billion to US$4.4 trillion over the past 12 years, the industry has yet to show signs of fatigue, with EY predicting over US$7.6 trillion in ETF assets by 2020. In recognition of the promise in the space, industry professionals and respected names have come together at the 2018 Inside ETFs conference in the US, where many shared their insights on the space’s growth. And as reported on ETFdb.com, five core themes are coming to light. First, portfolio managers have to avoid getting distracted by an ETF’s total size. ETFs must be selected based on core characteristics such as their risk profile, past performance, fund makeup, and overall fee structure. Advisors must also understand the broader economic and financial conditions that affect the asset, as well as its liquidity. Automation-driven investment products are also expected to grow more rapidly, reaching US$1 trillion in assets by 2020 and US$4.6 trillion by 2022 according to BI Intelligence. The trend will likely be driven by millennials, but other generations like baby boomers are starting to join in as they become comfortable with technology. There’s also increasing promotion of ETF portfolios. The growth of ETFs as an asset has resulted in broader diversification benefits, allowing the construction of ETF-managed strategies. These can have more than 50% of portfolio assets in ETFs, though it can vary based on the fund’s goals and risk tolerance. And while smart-beta strategies have gotten attention from portfolio managers shifting away from plain market-cap-based methodologies, pitfalls are emerging. Because of the wide variety of indexes used, it can be tough to determine which is the best strategy — and what risks are inherent in each one. Plus since strategies are often validated based on past performance, there can be insufficient understanding of the economic reasons behind an asset’s performance. Finally, the prospect of continued high returns is becoming increasingly hard to accept given the stock market’s nine-year bull run. 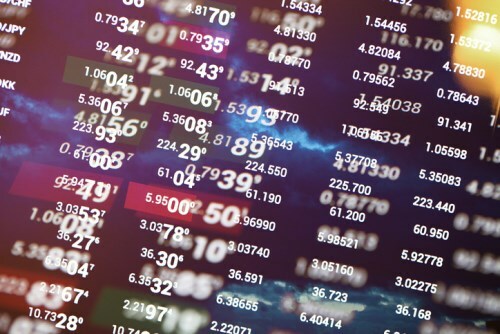 Portfolio managers may not be able to predict the timing of the next correction, but there should be increasing use of dividend stocks or defensive funds to navigate potential market downturns.